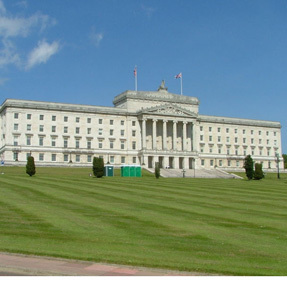 Members of the Northern Ireland Assembly will hold a debate on a motion from the Democratic Unionist Party (DUP) to repeal Sexual Orientation Laws until later next year rather than the scheduled date of January 2007. DUP MP Jeffrey Donaldson has called for a debate asking for the law to be delayed by the Northern Ireland Secretary Peter Hain, as in the rest of the UK, for further consultation, claiming the regulations will inhibit religious rights. The new laws aim to prevent discrimination towards the gay community in the provision of goods and services, but the legislation has caused a backlash from Christian leaders and politicians who believe it will criminalise their faith. It has increased tensions between the DUP and Sinn Fein, the Press Association reports. Despite admitting she had not read the Northern Ireland legislation, Assembly member Arlene Foster, said there should be debate, “I have to say I am concerned in relation to the regulations. To me initially there seems to be a clash of rights between those who are Bible belief Christians and those who are gay and lesbian. It is a classic case of a clash of rights. She was criticised by Sinn Fein`s Caitriona Ruane and Alliance Party leader David Ford. Speaking at the Northern Ireland Human Rights Commission`s annual conference in Belfast, Ms Ruane said: “I am not saying there should not be a debate. It is the way the motion is formed that I am critical of. I think it is framed in a way that is gay bashing. As the Northern Ireland Assembly has no legislative powers while it is suspended, Monday’s meeting will be nothing more than a talking shop.